Rocky Road Fudge blends nutty peanut butter, chocolate, and marshmallows into the fudge version of the classic ice cream! It assembles in about 10 minutes! Rocky Road Fudge is a variation of the iconic Rocky Road ice cream. Developed during the Great Depression it was an innovative ice cream flavor meant to raise people’s spirits during a difficult time. 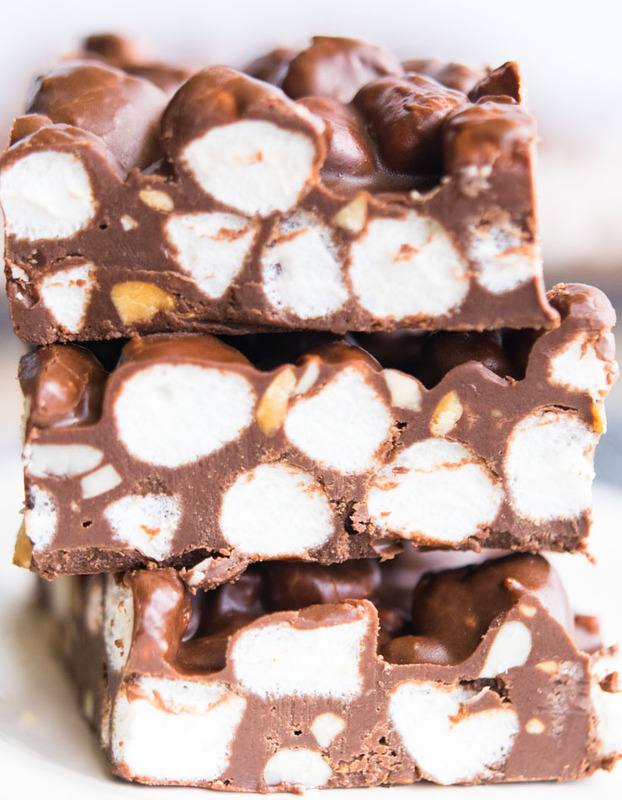 Our recipe has taken that classic combo and created the perfect Rocky Road Fudge recipe! I grew up eating this fudge for practically every holiday. 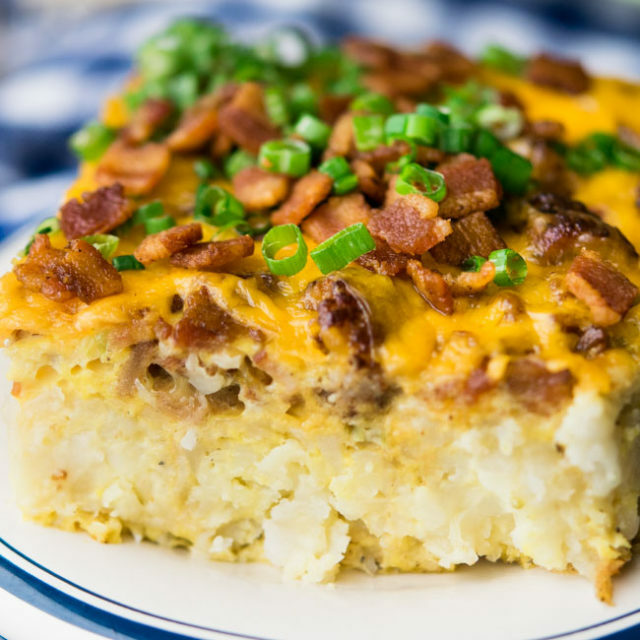 Both my Mom and my Grandma used to serve a big plate of this as part of every holiday spread. To cut down on the intense sweetness that’s associated with fudge, I make this Rocky Road Fudge without condensed milk. 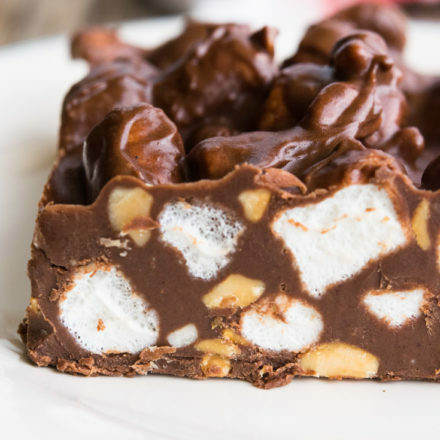 A Rocky Road fudge recipe with marshmallow creme or a Rocky Road fudge recipe evaporated milk variation involve more steps and ingredients than our simple three-ingredient recipe. You don’t have to worry about a grainy texture or hovering over a candy thermometer with this quick and easy recipe. We’ve nailed the same rich fudge taste and texture without the extra time and hassle of more involved fudge creations. Chocolate and peanut butter- is there anything better? What is Rocky Road Fudge? Rocky Road Fudge takes the traditional Rocky Road ice cream components and combines them into a decadent fudge. 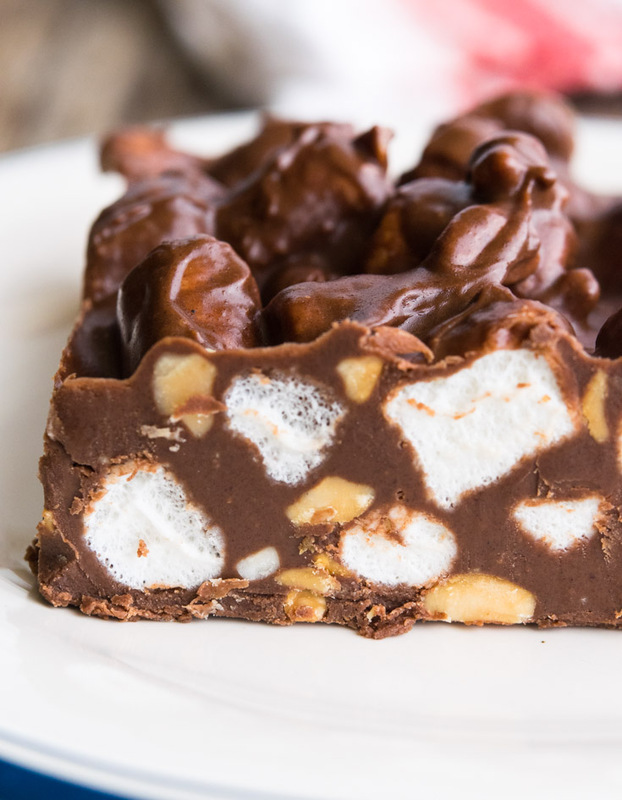 What Ingredients Do You Need To Make Rocky Road Fudge? Ingredients similar to what’s in rocky road ice cream make up this delicious fudge. All you’ll need are 3 ingredients! The Rocky Road ingredients for our fudge are simply chocolate chips, chunky peanut butter, and marshmallows! You’ll also need a bit of nonstick cooking spray to grease the pan. 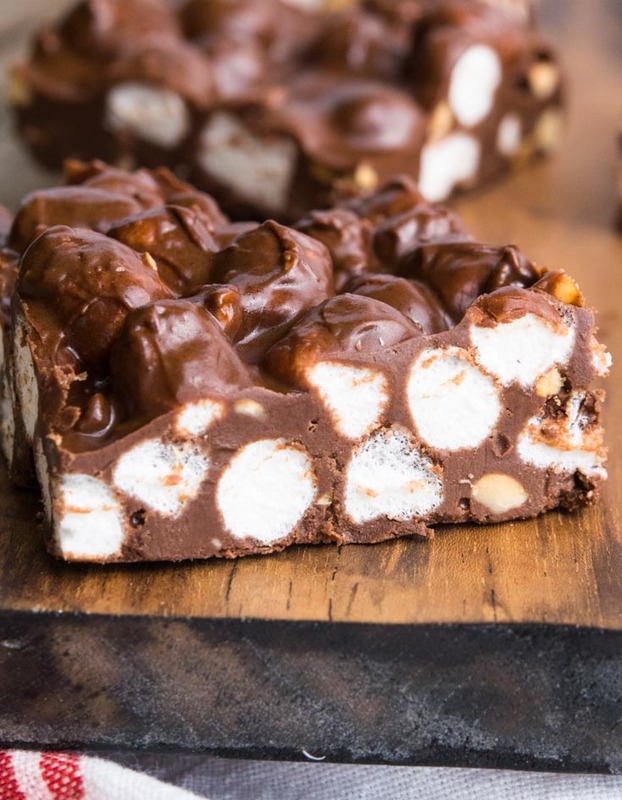 How Do You Make Rocky Road Fudge? With this Rocky Road Fudge recipe, peanut butter is melted in a double boiler with chocolate chips until smooth. Stir in marshmallows and spread into a pan! That’s all there is to it! 1. Line the bottom and the sides of a 9×13 baking dish with aluminum foil, allow the excess to overhang the pan edges. Spray foil with nonstick cooking spray. 2. 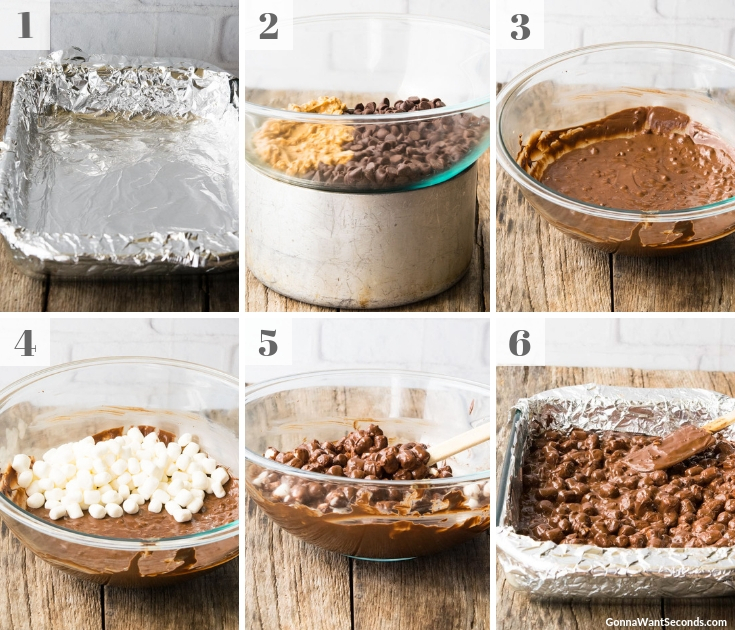 Melt chocolate chips and peanut butter in a double boiler. 3. Remove the mixture from the double boiler once melted. 4. Pour mini marshmallows into the mixture. 5. Fold in mini marshmallows. 6. Pour it in the prepared pan. Refrigerate until the fudge is set. Fall is in the air, and that means the holidays are right around the corner. Of course, with the holidays come cookies, candies, and FUDGE! In addition to this super simple Rocky Road Fudge, we’ve got a wide array of fudgy favorites to choose from. Our old-fashioned Easy Fudge Recipe has the perfect sweetness and offers step-by-step directions and troubleshooting tips to make sure your fudge turns out perfectly every time! Looking for an even easier recipe, try our Easy Microwave Fudge. If you’re looking for a chocolate alternative, look no further than our Easy Peanut Butter Fudge. 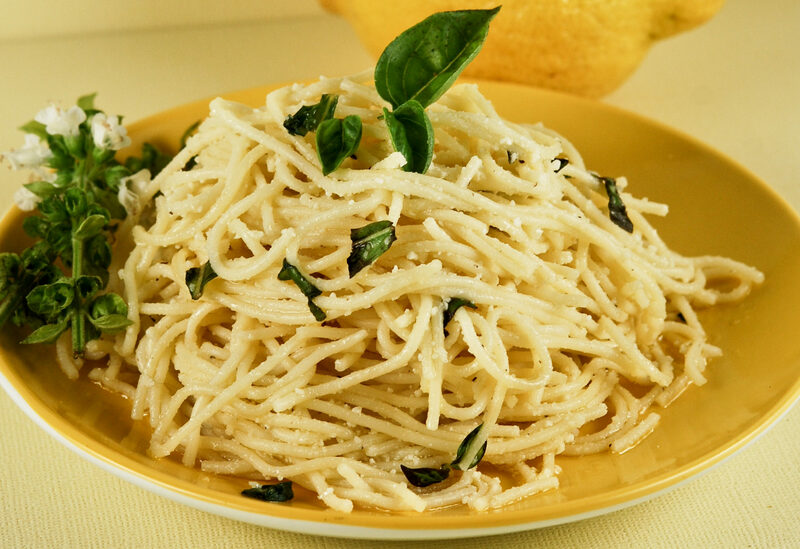 With four simple ingredients, it whips up in the microwave in less than 10 minutes! Finally, for a truly exceptional treat, try our Pumpkin Pie Fudge! It is pumpkin pie goodness in a bar of fudge and will be the star of any holiday party! Line a 9X13 inch baking pan with aluminum foil, pushing it into the corners and up the sides of the pan; allow the excess to overhang the pan edges. Spray foil with nonstick cooking spray. Melt chocolate chips and peanut butter in a double boiler. When the mixture is melted, fold in marshmallows and pour into prepared pan. Refrigerate until fudge is set. A note about nuts: Nuts and fudge go hand in hand, but you can make Rocky Road Fudge without nuts. You simply swap out the chunky for creamy peanut butter. 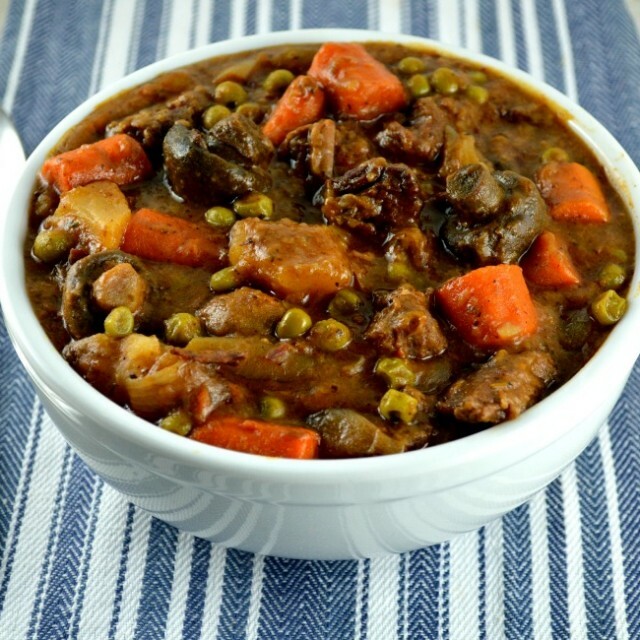 It eliminates the chunks but maintains the same great flavors. You can also experiment with other types of nuts and nut butters to change up the taste and texture. A traditional favorite is Rocky Road Fudge with walnuts! If you need to go completely nut free, you might consider making our basic Easy Fudge Recipe, omit the optional nuts, and stir in the marshmallows at the very end. Microwave Option: Just like the Rocky Road Fudge Allrecipes lists, you can also use the microwave to make this delicious fudge. You’ll melt the chocolate and peanut butter together in a microwave safe bowl. Start with 30 seconds and give it a stir. Watch the chocolate chips as they cook. When they start to get shiny, stop and stir vigorously. Then continue with 15-second bursts until everything is melted together. If your microwave cooks hot, you can reduce the cooking temperature to decrease the chance of burning the chocolate. Remember, you don’t need it crazy hot- just hot enough to make everything mix smoothly together. Sweetness Level: Some folks find fudge too rich because of the intense sweetness. This recipe is not overly sweet, but if this is a major concern, use natural, no-sugar-added peanut butter to bring down the sweetness level a notch. 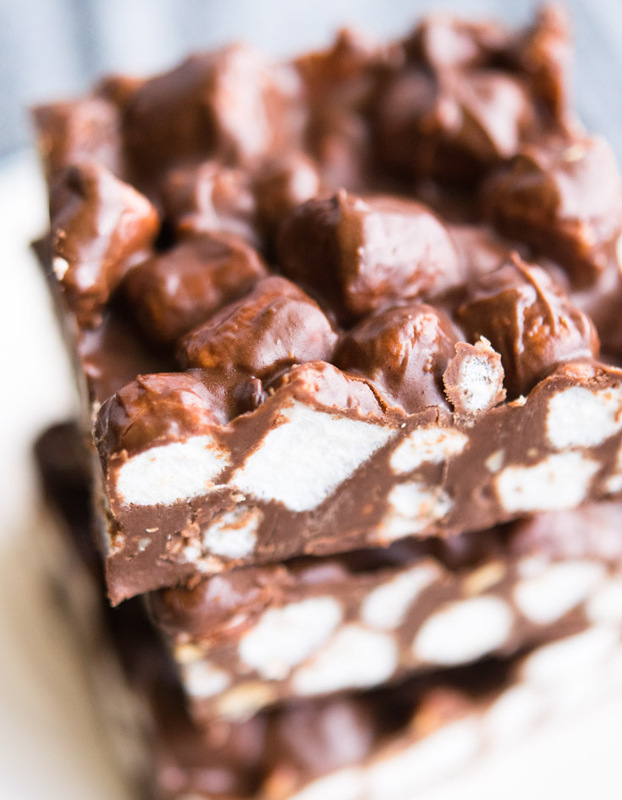 Can You Make Rocky Road Fudge Ahead Of Time? Absolutely! Rocky Road Fudge bars like these store well for up to 2 weeks if stored properly. I always store this fudge in the refrigerator so the chocolate stays set. To keep fresh, store fudge either in an airtight container, individually wrapped in cling wrap, or both! How Do You Freeze Rocky Road Fudge? Freezing Rocky Road Fudge extends its shelf life to around 3 months. For best results, individually wrap the pieces in cling wrap and then put them in a freezer bag. This has the WOW factor. Easy to make. Fun to eat. 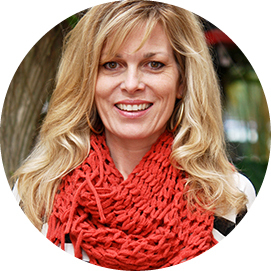 Hey Kathleen, hope your just taking a break and that everything is ok with you. Miss you! So you have all of the major food groups covered there, I will have to try it! chocolate, peanut butter, and marshmallows….score! looks delicious. 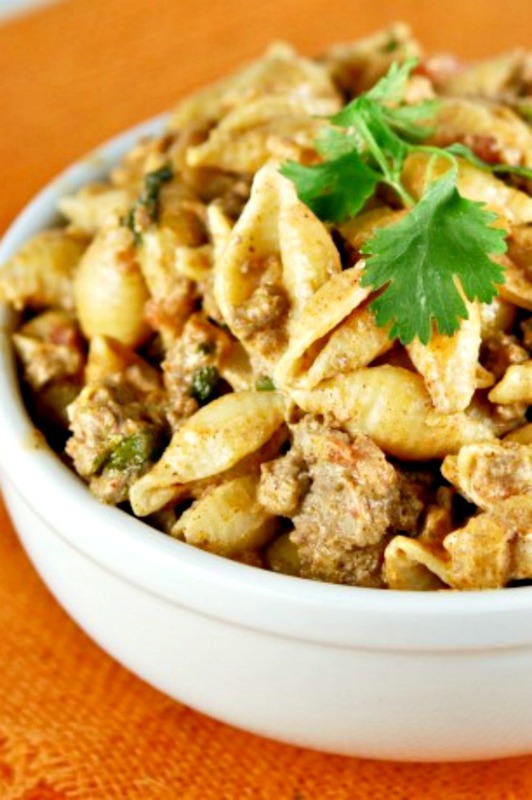 Wow that sounds like a great recipe – thanks to your mama! oh drool! what an amazing christmas treat! i hope you had a lovely holiday! 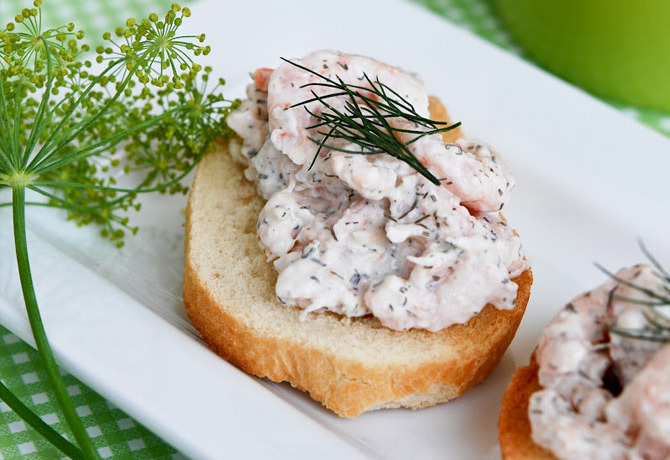 My family would love this, me too:) It sounds yummy! My husband especially likes rocky road fudge. Wishing you a wonderful new year filled with your favorite things. 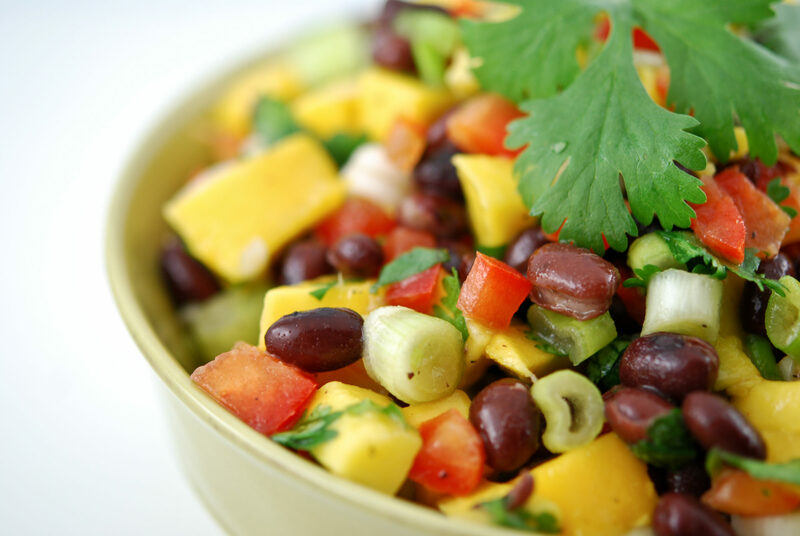 Yum and love how easy it is! Merry Christmas Kathleen! will ha ve to try this version my son loves peanut butter! Merry Christmas! Yes! This does look irresistible. Thank you for sharing this deliciousness with me. I'm about to leave for Colorado, but I'm glad I had a chance to check in before I depart! Many blessings to you and yours! 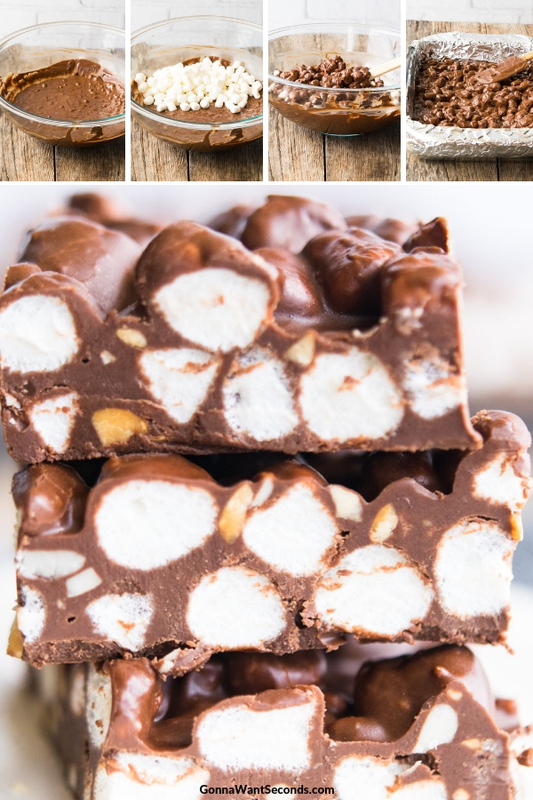 Love rocky road fudge…used to make it back in my 20's and early 30's. It's been a long time. Looks fabulous!! Merry Christmas! This is definitely the best fudge I've laid my eyes on. Yum!